pre wedding photo session benefits | why to do it ? An intimate, modest wedding within the company of close family and friends. A mouth-watering feast overflowing with hundreds of guests. Wedding receptions on the beach, in a glorious castle or cosy restaurant. A themed wedding or perhaps something more traditional. Whatever you decide, there are a few things all these “wedding ideas” have in common. Firstly, the desire to make sure everything goes to plan. The desire to be a reflection of the wedding that truly celebrates the love between two people. Trying to make this a genuinely significant day for everyone, especially the newlyweds. A day to remember and treasured for a lifetime. Not to be taken lightly, the person responsible to capture these memories is the wedding photographer. Through documenting wedding stories either in the form of photos or video, this is an important day in the life of the newlyweds that will always stay fresh in their memory. Therefore, it’s crucial to choose a photographer who will know how to tell your unique love story, as every wedding is a truly unique affair. Once you’ve made your decision to select a photographer for a wedding based on a recommendation or insight into his work, the only way to check whether the photographer has really managed to adapt to the needs of the newlyweds is to conduct a “wedding test shoot” which provides numerous advantages. A wedding test shoot specifically allows the newlyweds to make sure their selected photographer is the one to truly show the special bond between them, and to discover if the newlyweds and photographer are compatible. 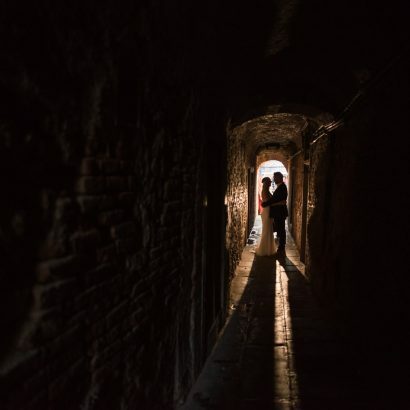 The conversation between the photographer and the newlyweds serves as a way to explore, express desires by the newlyweds and get to Know each other. During the shoot you’ll clearly establish if you’re on the same wavelength and ultimately visible to both you and the photographer. For every couple it’s essential to preserve the memory of such an important day in your life, so why take the risk when all it takes is just a few hours to carry out a short test shoot. Equally, a test shoot is also the perfect excuse for the bride to test her makeup and hairstyle for the big day. Far from being the exact same hair and makeup for the wedding day, it provides a chance to try something out, mix and match and get a sense of what fits. Also, this test is often enough to convince the bride that choosing a specific hairdresser and makeup artist is the right choice. There are people who we would all class as beautiful, however, that doesn’t mean everything will turn out the same in a photograph. Screen tests not only help the bride and groom to relax in front of the lens, especially those who subjectively think “I never look good in photos”, but can equally help the photographer as he prepares to make the ultimate creation to everyone’s satisfaction. To perfectly ensure you get the exact kind of wedding day memory you imagine, a wedding test shoot is the ideal solution for any couple. If there’s a sense of trust between the newlyweds and the photographer, everything becomes far more easier. Why not use the photos from the test shoot as ornaments, personalized gifts for guests, invitations or even thank-you cards or simply remain as a wonderful keepsake. Above all, there’s no other sight more beautiful than that of an image bursting with love between two people. Here at Reflexion, we take pride in creating everlasting photographic wedding stories. 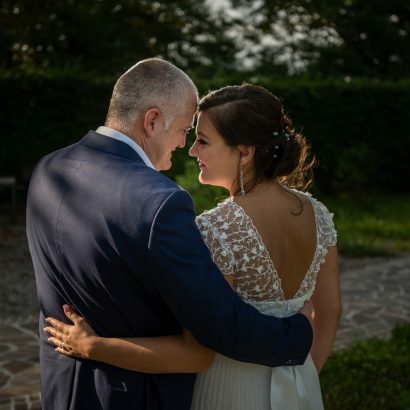 As European based photo-storytellers, we specialise in weddings in Italy and Croatia. With no obligation whatsoever, contact us and we’ll listen closely. Share your ideas and initial wishes, your budget, and how you imagine your dream wedding to unfold. Very quickly, we can meet over skype, or in person to discuss details further and agree on the next steps. Let’s talk and create everlasting memories.